GAINESVILLE, Fla. – The most successful driver in NHRA Mello Yello Drag Racing Series history will look to hit a historic number at one of the biggest races of the 2019 season. 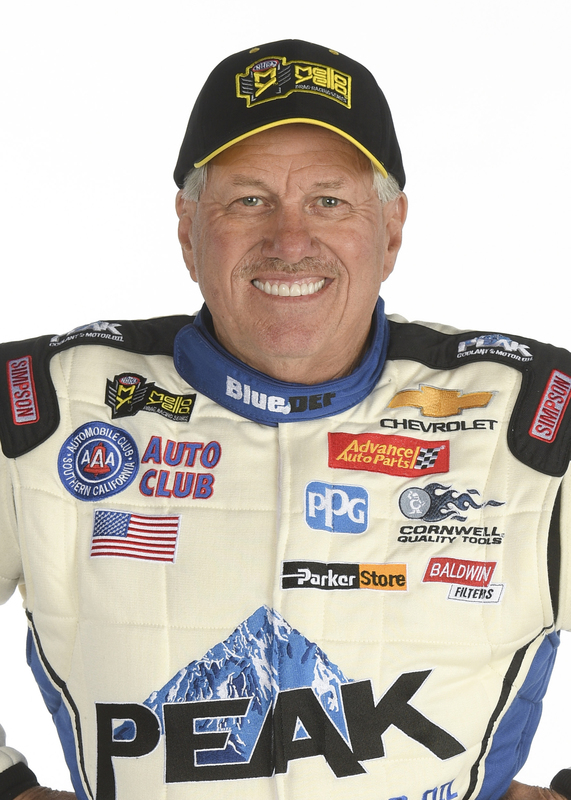 Sixteen-time Funny Car champ John Force is after his 150th career win at the 50th annual AMALIE Motor Oil NHRA Gatornationals at Gainesville Raceway on March 14-17, a weekend that will include some of NHRA’s biggest legends. Force is one of them, an iconic driver still competing in the Funny Car ranks, while the 50th anniversary of one of the NHRA’s most legendary races celebrates the pinnacle of the NHRA Legends Tour as well as the “Unfinished Business” event featuring eight legendary NHRA figures facing off in a head-to-head competition. Combined, it’s a weekend that has the legendary Force extremely excited, especially on the cusp of his 150th win in his 10,000-horsepower PEAK Chevrolet Camaro SS. Richie Crampton (Top Fuel), Jack Beckman (Funny Car), Tanner Gray (Pro Stock) and Eddie Krawiec (Pro Stock Motorcycle) were last year’s winners of the must-see event that will be televised on FOX Sports 1, including finals coverage on Sunday, March 17 at 7:30 p.m. (ET). It is the third of 24 events during the 2019 campaign and will surely be one of the can’t-miss races of the season. More than 20 NHRA Legends will gather for special meet-and-greets and autograph sessions, while Garlits, Prudhomme, Muldowney, McCulloch, Warren Johnson, Amato, Bernstein and Terry Vance will compete in the “Unfinished Business” race to make the race a colossal event. Force could add to the festivities with his own historic win, furthering his status as NHRA’s winningest driver. He has eight victories at Gainesville Raceway, with the most recent coming in 2017. It’s also second all-time in NHRA history behind Johnson’s nine, adding another possible incredible nugget if Force can come through this weekend. 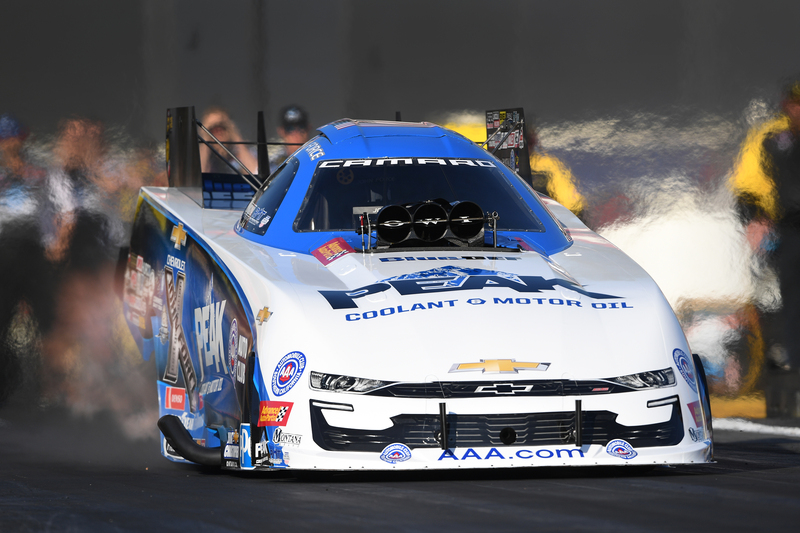 Force has been solid to open 2019, advancing to the semifinals in Pomona before falling to John Force Racing teammate and eventual winner and points leader Robert Hight. With Courtney Force stepping away from the sport, J. Force and Hight have been a strong duo this year, but they’ll have to keep it up against the likes of Phoenix winner Matt Hagan, defending world champ J.R. Todd, Beckman and Bob Tasca. Top Fuel’s Richie Crampton won at Gainesville for the first time in 2018, but will have to get past teammate Doug Kalitta, defending champ Steve Torrence and Brittany Force. Bo Butner started his Pro Stock year on a strong note with a win in Pomona and the points leader will face off with Phoenix winner Jeg Coughlin Jr. and Jason Line. Pro Stock Motorcycle makes its annual debut at Gainesville, as defending world champ Matt Smith will look to keep Eddie Krawiec from his fourth straight win at the event. Others to watch include Hector Arana Jr., Scotty Pollacheck and Andrew Hines. The event is also the season-opening race for the E3 Spark Plugs NHRA Pro Mod Drag Racing Series presented by J&A Service and features thrilling competition in the NHRA Lucas Oil Drag Racing Series, where future stars of the sport hone their skills, as well as the Mickey Thompson Tires NHRA Top Fuel Harley Drag Racing Series. As always, fans can interact with their favorite drivers with an exclusive pit pass to the most powerful and sensory-filled motorsports attraction on the planet. This unique opportunity gives fans direct access to the teams, allowing them to see firsthand the highly-skilled mechanics service their hot rods between rounds, and get autographs from their favorite NHRA drivers. Mello Yello Drag Racing Series qualifying will feature two rounds at 1:15 and 5:00 p.m. on Friday, March 15 and the final two rounds of qualifying on Saturday, March 16 at 12:00 and 3:30 p.m. Final eliminations are scheduled for 11 a.m. on Sunday, March 17. To purchase general-admission or reserved seats, call (800) 884-NHRA (6472) or visitwww.NHRA.com/tickets. Kids 12 and under are free in general admission areas with a paid adult. Military and first responders can save 20 percent on general admission tickets at the gate. For more information about the NHRA visit www.NHRA.com. WHAT: 50th annual Amalie Motor Oil NHRA Gatornationals, the third of 24 events in the NHRA Mello Yello Drag Racing Series. Drivers in four categories – Top Fuel, Funny Car, Pro Stock and Pro Stock Motorcycle – earn points leading to 2018 NHRA Mello Yello Drag Racing Series world championships. Competition also will be featured in the NHRA Lucas Oil Series and the E3 Spark Plugs NHRA Pro Mod Series. WHERE: Gainesville Raceway, Gainesville, Fla. The track is located on 11211 North County Road 225 in Gainesville. SCHEDULE: THURSDAY, March 14 – LUCAS OIL SERIES qualifying at 8:00 a.m.
FRIDAY, March 15 – LUCAS OIL SERIES eliminations at 8:00 a.m.
E3 SPARK PLUGS NHRA PRO MOD SERIES qualifying at 12:30 p.m. and 4:00 p.m.
MELLO YELLO SERIES qualifying at 1:15 and 5:00 p.m.
SATURDAY, March 17 – LUCAS OIL SERIES eliminations at 8:00 a.m.
E3 SPARK PLUGS NHRA PRO MOD SERIES qualifying at 11:15 a.m. and 2:50 p.m.
MELLO YELLO SERIES qualifying at 1:00 p.m. and 4:15 p.m.
SUNDAY, March 18 – Pre-race ceremonies, 9:45 a.m.
Sunday, March 17, FOX Sports 1 (FS1) will televise three hours of finals coverage at 7 p.m. (ET). WINNERS: Richie Crampton, Top Fuel; Jack Beckman, Funny Car; Tanner Gray, Pro Stock; Eddie Krawiec, Pro Stock Motorcycle. VICTORIES: Warren Johnson, 9, PS; John Force, 8, FC; Eddie Krawiec, 6, PSM; Don Prudhomme, 5, FC; Tony Schumacher, 5, TF; Joe Amato, 4, TF; Greg Anderson 4 PS; Kenny Bernstein, 4, FC/TF; Larry Dixon, 4, TF; Don Garlits, 4, TF; Jason Line, 4, PS; Ed McCulloch, 4, FC; Dave Schultz, 4, PSM; Terry Vance, 4, PSM. RECORDS: Top Fuel – 3.682 seconds by Tony Schumacher, March ’17; 331.28 mph by Clay Millican, March ‘18. Funny Car – 3.828 seconds by Robert Hight, March ’17; 334.82 mph by Hight, March ’17. Pro Stock – 6.473 seconds by Mike Edwards, March ’12; 214.69 mph by Erica Enders, March ’14. PS Motorcycle – 6.750 seconds by Eddie Krawiec, March ’12; 201.01 mph by Hector Arana Jr., March ’18. PS Motorcycle – 6.728 sec. by Andrew Hines, Oct. ’12, Reading, Pa.; 199.88 mph by Hector Arana Jr., March ’15, Charlotte, N.C.